The 14th lecture of University of Ibadan English Language Clinic Programmes titled ‘Exploring Technology for Improved English Pronunciation in Non-native Contexts’ takes place at Trenchard Hall, University of Ibadan, on Monday, 28 May, 2018 at 4.00 pm. 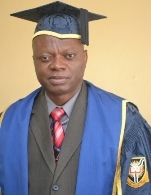 The presenter is Professor Ayodeji Ademola Jolayemi, a distinguished scholar in the Department of English, University of Africa, Toru-Orua, Bayelsa. Attendance at the lecture is free. Please be punctual. Thank you.